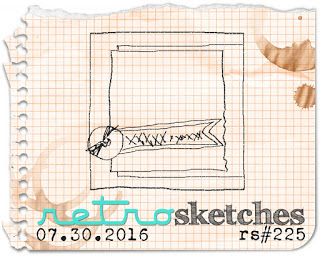 I have a last minute card for Altenew's August Inspiration and Simon Says Stamp Wednesday 'It's Hip to be Square' challenges. 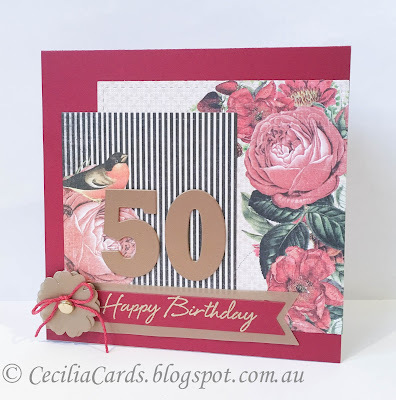 I purchased this beautiful stampset at the Paperific Expo on the weekend and couldn't wait to ink it up!! Here it is and thanks for dropping by! As mentioned in a previous blog, I attended the Paperific Expo on the weekend. 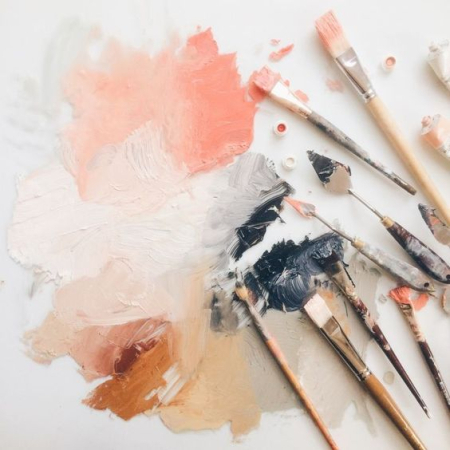 I sometimes book a class and as it was a last minute decision to go, I didn't intend to attend a class. As it turned out, there was an available spot in one of the mixed media classes on watercolours. 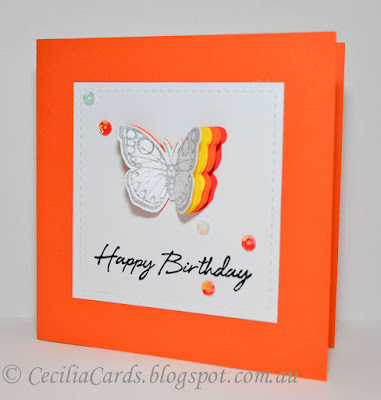 I have two cards to share that I made at the class with Beck BT using the Tinby Color Crush powders. 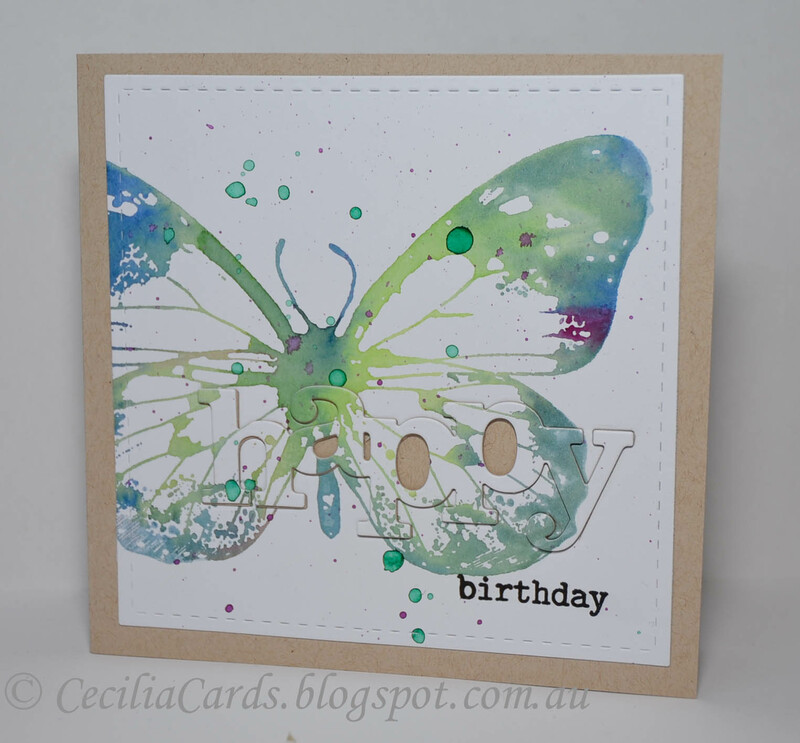 Here are the cards I made using the Indigoblu butterfly stamp, with diluted ink brushed onto the stamp, first and second generation. 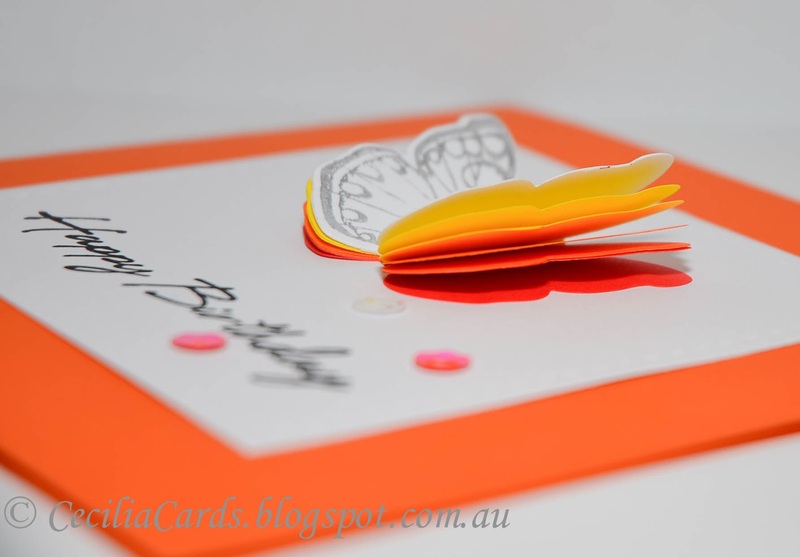 I'm linking up to Simon Says Stamp Wednesday challenge - It's Hip to be Square. 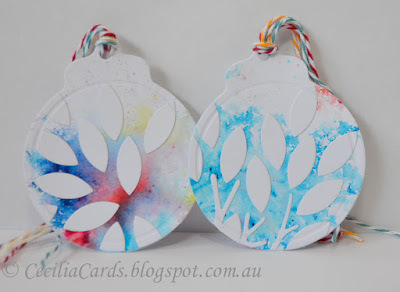 I've made some tags after being inspired by Laurie after seeing her video on PTI MIM - Coverplate Tags. I searched high and low for my favourite Sale Tag from PTI and could not find it! It's somewhere in my stash. 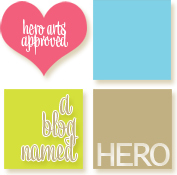 So I opted for the round tag die instead. I was going to use my Garden Gate Market kit but it didn't suit the round tag. Out came the Mighty Oak die! I experimented with some new colours I got at the Paperific Expo in Melbourne yesterday and decided to use them for the tags. 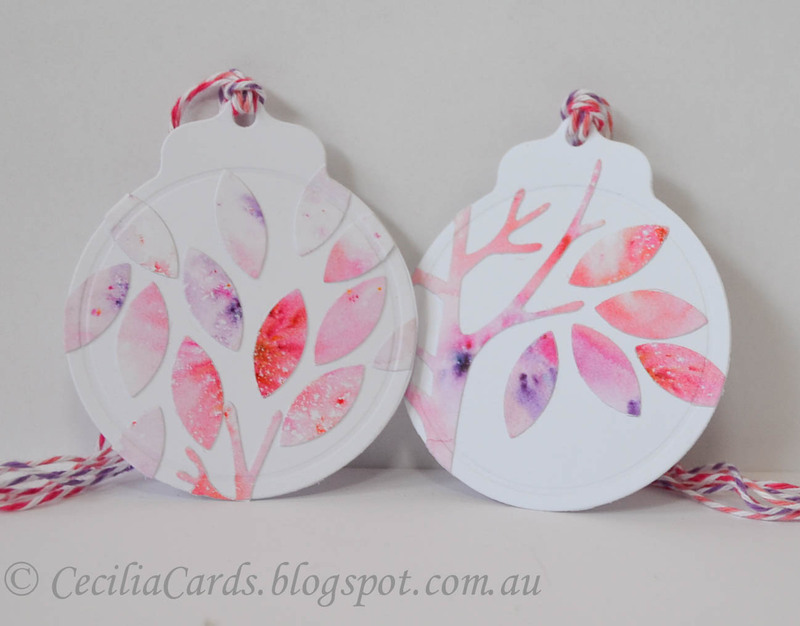 After sticking them on the die, I ran the tag die over the leaves so that they have the impressions on the edge of the die. Thanks for dropping by! Hi all. 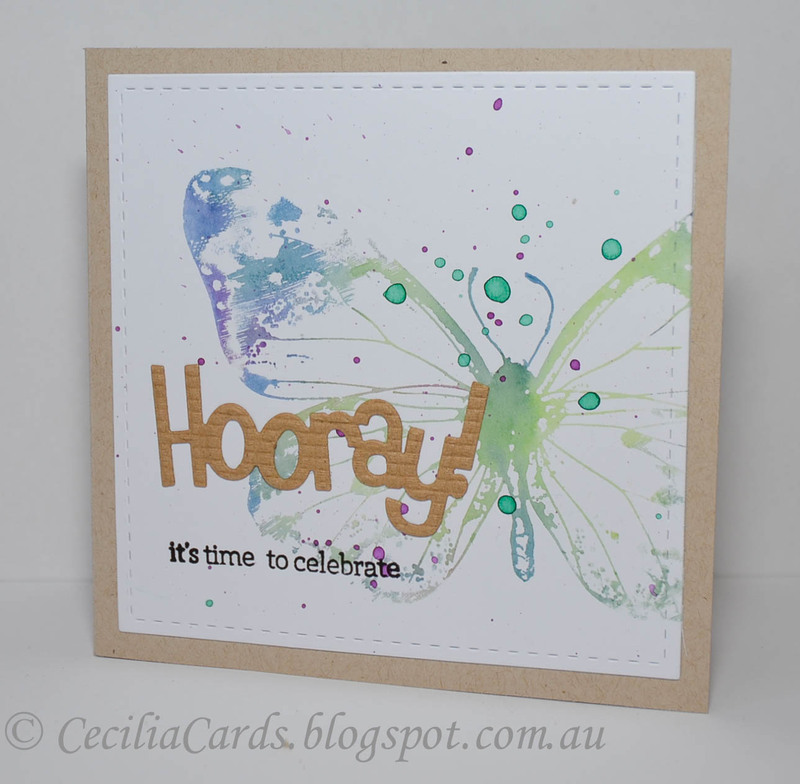 I'm back with another card for the A Blog Named Hero 'Pop of Colour' Challenge! 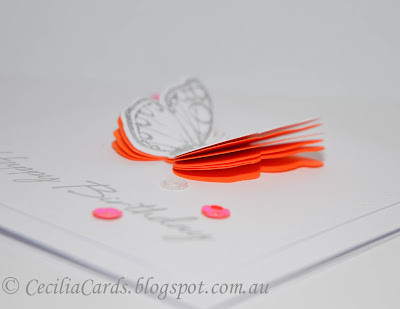 I attended our local 'Paperific Expo' today and had a bit of fun with a class and bought some 'need to get' stuff! 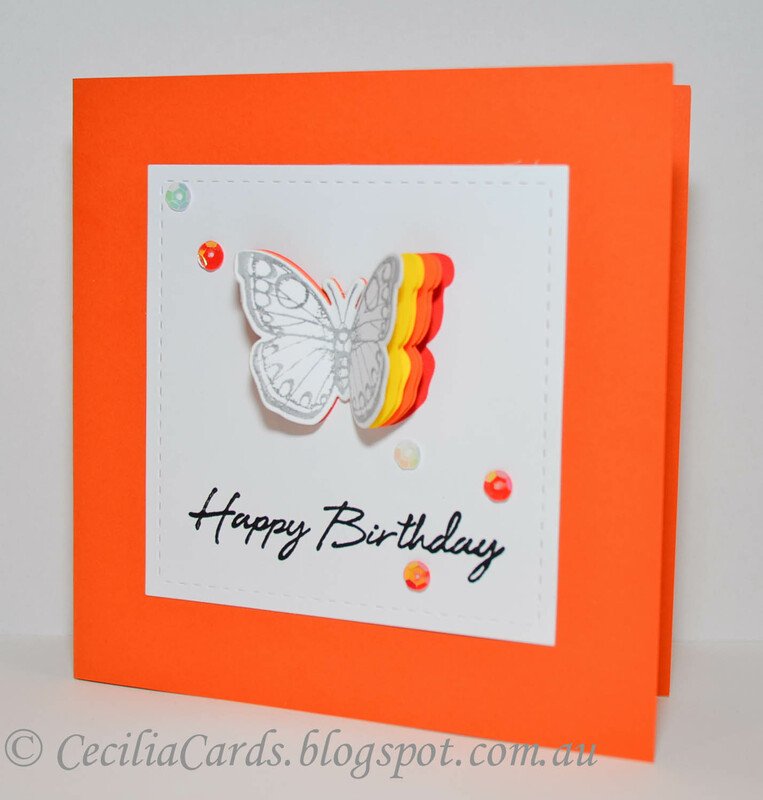 One of them was a pad of 6-colour paper and it was perfect for this challenge! 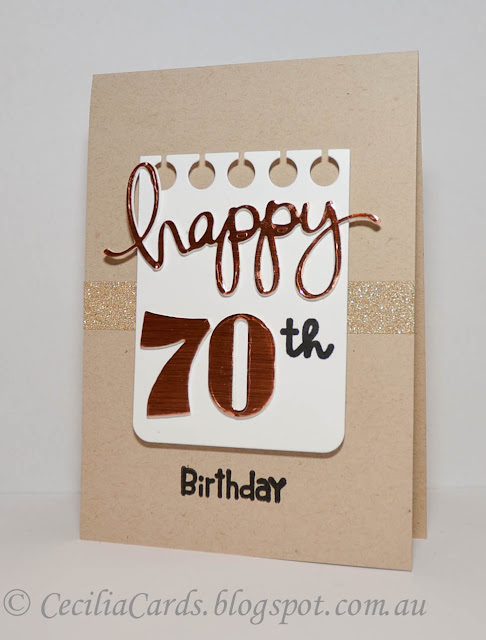 I made two cards at the same time just in case one didn't work out. 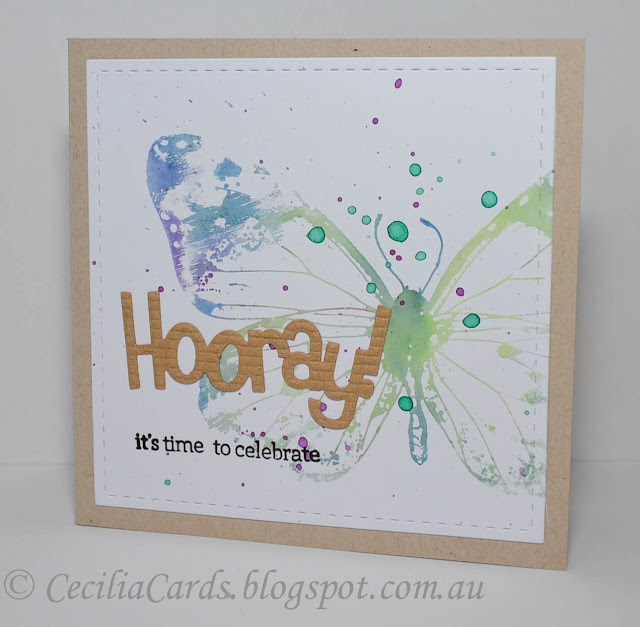 As they are both square cards, I decided to add them to the Simon Says Stamp Wednesday 'It's Hip to be Square' challenge and since it is a fun CAS card - CASology's Fun Challenge! Thanks for popping by, I'll blog about the Expo next time! I just love the inspiration photo in this month's PTI Blog Hop Challenge. 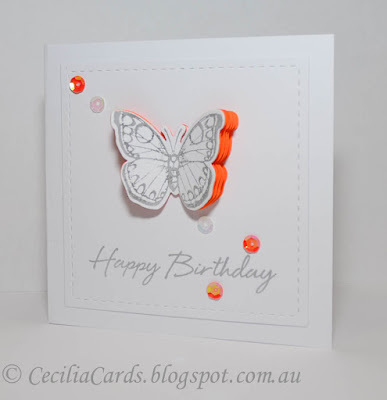 I had just received my Make It Market kit and was itching to ink up the new stamps. The watercolour background is done with distress inks (wet on wet), then a layer of texture paste was added using a stencil from the kit. 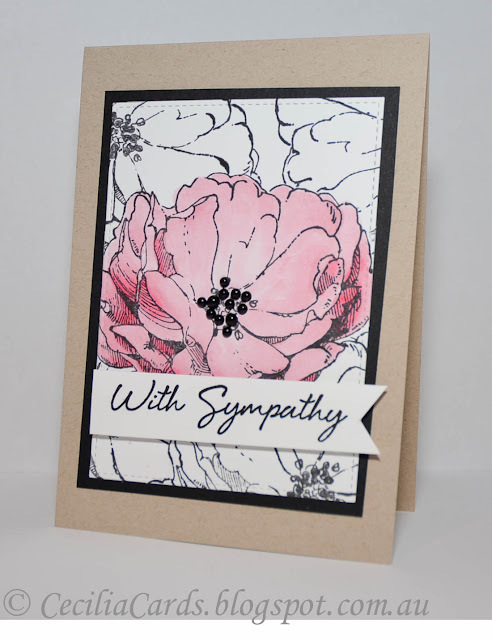 The flowers were stamped onto watercolour card and then die cut out. The sentiment was stamped onto kraft cardstock and mounted on dimensional tape. Thanks for dropping by! 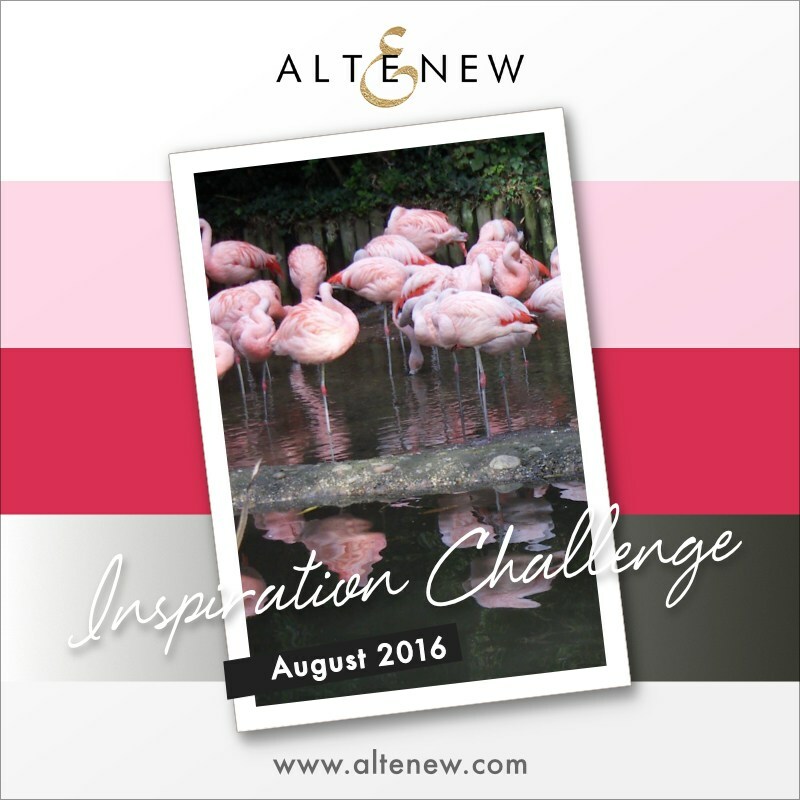 The creative juices are really flowing this month! 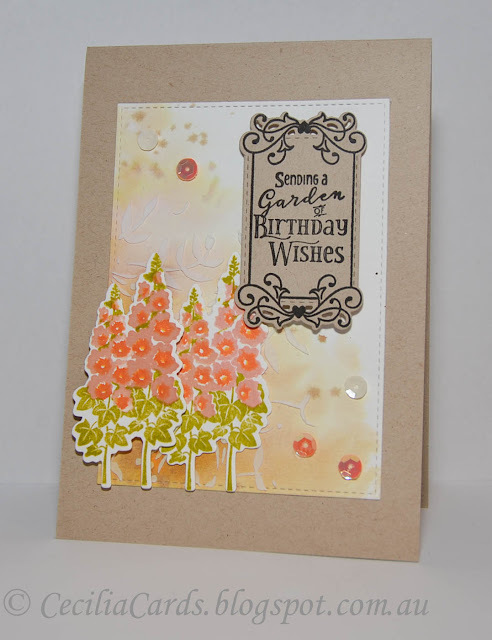 I love the Altenew August inspiration challenge, the card turned out exactly how I wanted it. Here it is! 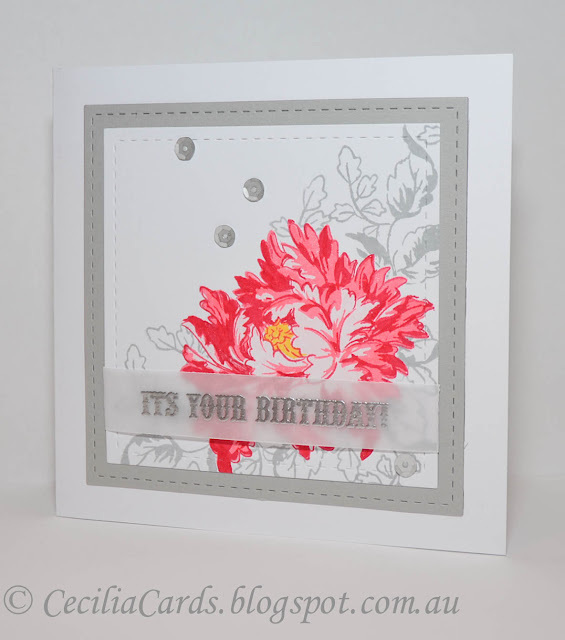 I'm also adding this to the current Simon Says Stamp Wednesday Fabulous Florals Challenge. 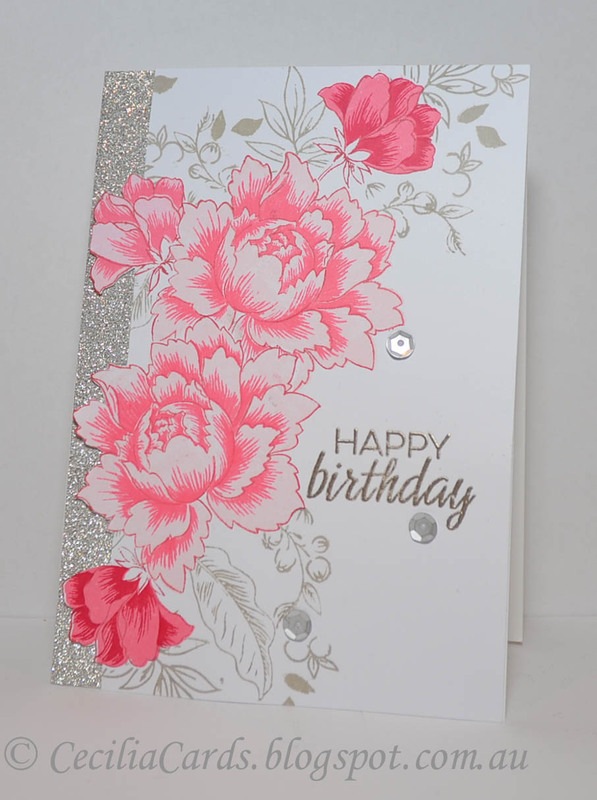 Kaisercraft Curiosity 6x6 pad, Hero Arts sentiment and gold embossing powder, MFT Dienamics Big Numbers, Fishtail banner and flower dies, Gold vellum, Hemptique hemp, gold and red card stock and Lil Inkers stitched squares dies.